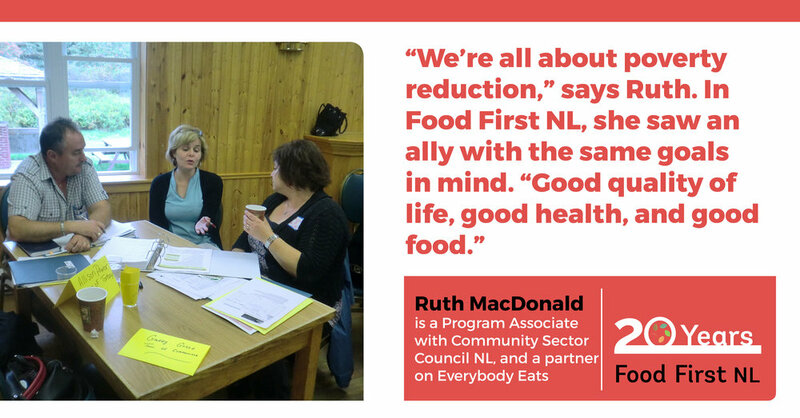 Ruth says there are “thousands” of successes that Food First NL can claim, but her favourite is the Community Kitchen Best Practices Toolkit. In the hands of Vibrant Communities and its collaborators, the Toolkit was used to help prepare 2000 meals for 140 families in a single year. “We wrote a grant together, and we’ve been dating ever since!” says Ruth MacDonald of the Community Sector Council NL for Vibrant Communities. MacDonald has been a partner of Food First’s on many initiatives, and currently sits on the Cost of Food & Household Food Insecurity Action Group for Everybody Eats. Vibrant Communities in NL is part of a nation-wide program that brings together government, people living in poverty, the community sector, and the private sector, to develop solutions as a collective. “We’re all about poverty reduction,” says Ruth. 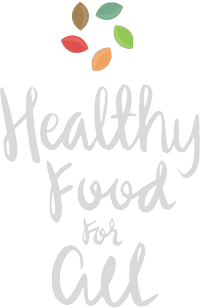 In Food First NL, she saw an ally with the same goals in mind, “Good quality of life, good health, and good food,” she says. Ruth says there are “thousands” of successes that Food First NL can claim, but her favourite is the Community Kitchen Best Practices Toolkit. This particular toolkit was designed to assist community organizations in Newfoundland and Labrador in starting a community kitchen. In the hands of Vibrant Communities and its collaborators, the Toolkit was used to help prepare 2000 meals for 140 families in a single year. From her perspective, Food First NL is going strong, “striving and thriving” she says.